​NYFF review: Actors, camera soar in surreal "Birdman"
You are in a dirty, cramped dressing room of a Broadway theater, tinged with generations of acting history, successes and regrets. It's here where the voices of actors past might speak to you, with encouragement more elegant than "Break a leg." But Riggan Thomson can't hear those voices, thanks to the inner voice of his super-ego speaking so loudly no ego could drown it out. Riggan (Michael Keaton) is days from Opening Night of his Broadway play, an adaptation of a Raymond Carver story which he has also written and directed. His life's blood is in the production. It's a life that has seen its share of success (three top-grossing "Birdman" superhero movies) and failures (divorce and a daughter straight out of rehab). And alas, the signs aren't boding well when an actor is injured during rehearsals, requiring a last-minute replacement: Mike Shiner (Edward Norton), whose passionate quest for realism on stage includes drinking actual gin and attempting to make love for real with his co-star and partner, Lesley (Naomi Watts). Riggan also faces countless other pressures, including a pregnant girlfriend, Laura (Andrea Riseborough); a worried producer, Jake (Zach Galifianakis); and a theatre critic (Lindsay Duncan) who promises to bury his production with her review. A treat of black comedy mixed with magical realism and powerful emotions, "Birdman, or (The Unexpected Virtue of Ignorance)" had its U.S. premiere Saturday at the New York Film Festival. Masterfully directed by Alejandro G. Iñárritu ("Babel," "Amores Perros"), the film unspools for the most part in the manner of a single unbroken take, conjured from the last few days before Opening Night. Taking place mostly within the confines of the theater's backstage, where actors, costumers, stagehands and reporters jostle, argue, fight or make out, the story is mostly told through Riggan's POV, though the camera often drifts away to eavesdrop on others' conversations. The stunning camerawork is by cinematographer Emmanuel "Chivo" Lubezki (whose work has graced the movies of Alfonso Cuarón and Terrence Malick, and who won an Oscar last year for "Gravity"). Shot without artificial lights (there was no room for them in the exceedingly cramped quarters of the St. James Theater), in long extended takes that are cleverly edited together, the camerawork creates a fluid sensation of being airborne through the entire film, sometimes getting thisclose to the actors. It's a process that required extensive rehearsals and technical run-throughs -- and which generated an atmosphere for the actors that was (according to Keaton) the most intense he'd ever experienced. The seamless technical work makes the script's intense emotional points all the more powerful, as Riggan faces a growing fear that he, his precious play (titled "What We Talk About When We Talk About Love"), even his life are no longer relevant to an audience, or to his family. "You are doing a play based on a book that was written 60 years ago, for a thousand rich, old white people whose only real concern is going to be where they can go have their cake and coffee when it's over. Nobody gives a **** but you. And let's face it, Dad, you are not doing this for the sake of art. You are doing this because you want to feel relevant again. Well, guess what? There is an entire world out there where people fight to be relevant every single day, and you act like it doesn't exist. Things are happening in a place that you ignore -- a place that, by the way, has already forgotten about you! I mean, who the **** are you? You hate bloggers, you mock Twitter, you don't even have a Facebook page! You're the one who doesn't exist!" It's a movie that, like Muhammad Ali, floats like a butterfly and stings like a bee. 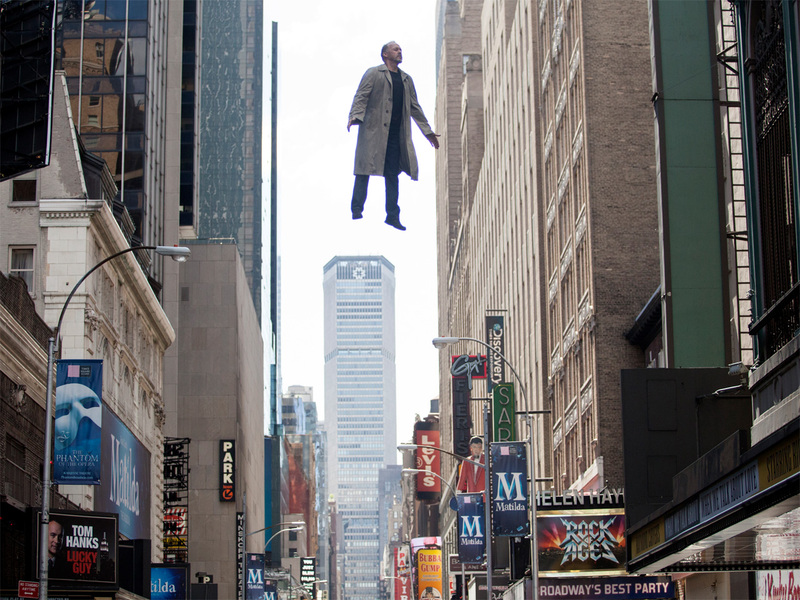 Released by Fox Searchlight, "Birdman" opens on October 17. It is Rated R for language, some sexual content and brief violence. Running time: 1:59. To watch a trailer for "Birdman," click on the video player below. Kristen Stewart, Juliette Binoche in "Clouds of Sils Maria"